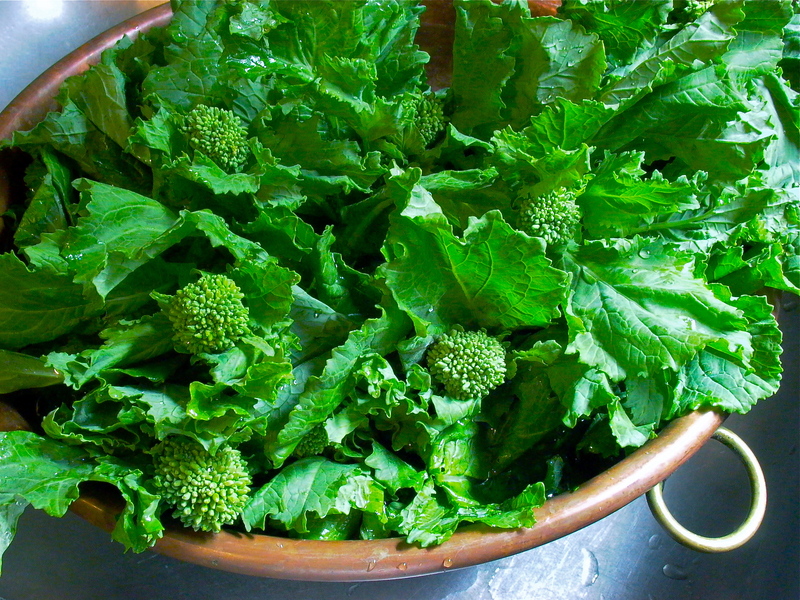 Some time back, I wrote a post, “When Bitter is Sweet,” about broccoli rapini, the Italian greens that have taken this country by storm since Balducci’s, the legendary Greenwich Village Italian grocery, imported them here in 1973. Because so many readers said they were relieved to finally learn how to cook them properly to soften their bitter edge, I decided to find out how and why the delicious Brassica, about which there is still such a mystique, was transplanted from the heel of the Italian boot to the farmlands of California. 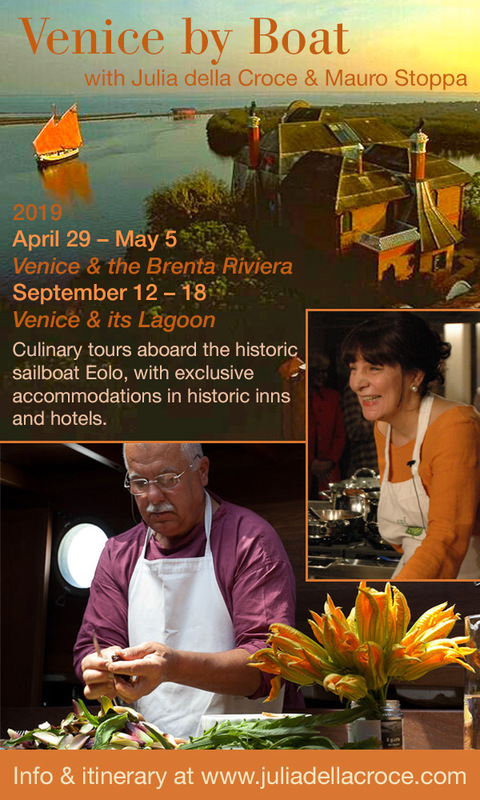 Here’s the update, complete with Andy and Nina Balducci’s story, Viola Buitoni’s terrific family recipe, and my updated cooking tips. For the article and recipe, continue reading on Zester Daily >> . Thanks for this Julia…I want to like this veg. Many of you write to me at my email address. I love to hear from you but hope you’ll leave your questions or comments here for other readers to benefit from. Here is a comment that just came in from New York restaurateur Tony May, redirected from my email. I usually add tomatoes to temper the bitterness a bit -as well as blanching it. But the pic with the potatoes looks fantastic. 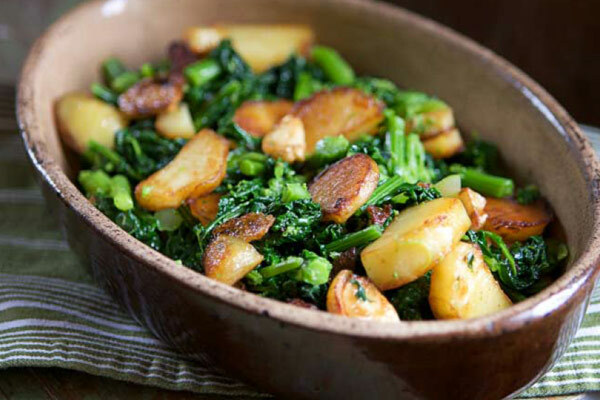 I’m a sucker for potatoes and greens. When my father was a child after the war, money was tight (or non-existant!) and they ate a lot of things like that and he still made them when I was growing up.